LiquidFrameworks, the leading mobile field operations management solutions company specializing in Oilfield/Industrial/Environmental Services, joins forces with Dell Boomi to present the webinar: Deploying Seamless Integration from “Quote to Cash”. By integrating FieldFX to ERP and various other applications, our customers are experiencing a faster time to value. LiquidFrameworks announced today that it will join forces with Dell Boomi to present the webinar: Deploying Seamless Integration from “Quote to Cash”. Oilfield, industrial and environmental services companies are experiencing immediate value by connecting the FieldFX software suite to their critical business processes- such as ERP and Payroll with the Dell Boomi AtomSphere integration platform as a service (iPaaS). 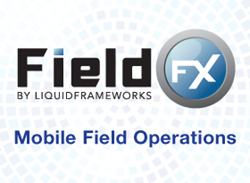 The FieldFX solution is a cloud-based, mobile field operations (“quote to cash”) software suite designed to manage contracts, quotes, equipment, jobs and field tickets, along with customer-specific electronic forms, such as JSA and other safety forms, inspections and other operational data reports. Ron Prichard, CFO of Energes, will also be featured in this webinar. He will share why Energes selected FieldFX and Dell Boomi and the benefits they’re experiencing as a result. The webinar will take place on Tuesday, February 23, 2016 at 1:00 CT. Click here to register. Dell Boomi delivers the first and only multi-purpose PaaS for AtomSphere integration Platform as a Service (iPaaS), Master Data Management (MDM) and API Management, and enables customers to integrate any combination of cloud and on-premises applications without software, appliances or coding. Organizations of all sizes, from growing mid-market companies to very large enterprises, enjoy rapid time to value as a result of drastically reduced implementation times and substantial cost savings over traditional integration, MDM, and API management solutions. Visit http://www.boomi.com for more information.